Comic Books And The Cold War: Essays on Graphic Treatment Of Communism, The Code And Social Concerns includes an essay, "'I Can Pass Right Through Solid Matter': How The Flash Upheld American Values While Breaking The Speed Limit", that I wrote about Silver Age Flash comics (2012). The Journal Of Popular Culture published a couple of book reviews by me (2009). Books And Beyond: The Greenwood Encyclopedia Of New American Reading includes an entry by me on zines. Read it at your local library (unless you have $400.00 to spare) (2008)! "How Can 575 Comic Books Weigh Under An Ounce? : Comic Book Collecting In The Digital Age" is a paper I presented at the national Popular Culture Association/American Culture Association conference, which was later revised and published in The Journal Of Electronic Publishing (2008). 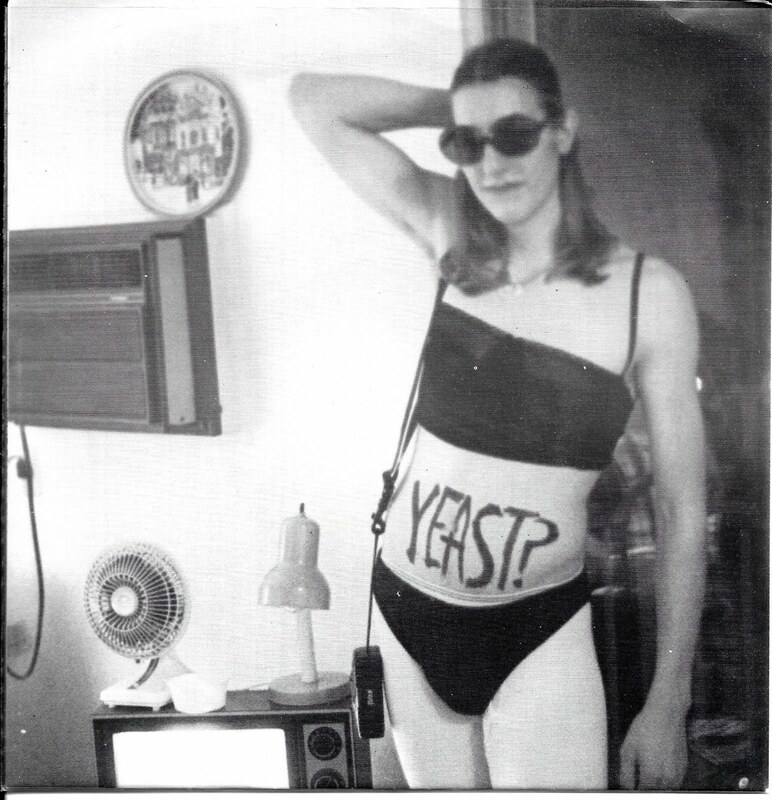 From Zines To Ezines: Electronic Publishing And The Literary Underground (623KB PDF) is the doctoral dissertation of my not so secret identity, reprinted on ZineBook.Com but you can also order a bound print copy from Proquest (2001). "The Psychological Motivations Of The Zine Publisher" is adapted from my master's thesis (1996). "The History And Characteristics Of Zines" is an excerpt from my master's thesis (1995). "What I Did On My Summer Vacation In Hell" is a short story about skunks, squirrels, and The Stench (2011 by way of 2001). Blog Love Omega Glee is my latest novel, about two bloggers who fall in love while the world falls apart (2008-2010). It is available now as an ebook for free (sort of, you can make a donation if you like it). 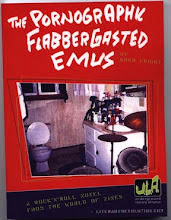 The Pornographic Flabbergasted Emus is a humorous novel about life in a garage band that I first published as a serialized zine in 2002-2003. Then it was available as an ebook on the old WredFright.Com Website from 2003-2005. Now it is available as a book! (2006, ULA Press/Out Your Backdoor). Underground Literary Adventures is a literary blog that Pat King and I once edited for the Underground Literary Alliance. You can find a few works by me there including the short story "Cancer" (a slightly revised version of "Cancer" was later published in the 2009 issue of Inscape, the Ursuline College fine arts magazine) (2005). "Weekendless" is a short story starring my longtime character Harold Grumblebunny in which he passes a pleasant afternoon in the park contemplating the best way to drop out of the human race, published in the literary anthology The Bukowski Hangover Project by Poison Candy/Sisyphus Press (2003, out of print now but the link might have information on how to still obtain a copy). "The New Kid Has An Old Bicycle", is a short story starring another of my longtime characters, Bill Falcon, in which he gets his first bicycle and tries to make some friends in his new neighborhood, published in the literary anthology Punch & Pie by Gorsky Press (2003, link has purchasing information). In Verbicide #9 Jackson Ellis wrote: "Wred Fright creates another highlight of Punch & Pie with the sad coming-of-age tale, 'The New Kid Has An Old Bicycle.' It'll definitely bring back some sketchy memories of anyone who was a shy social misfit as a child who did stupid things to impress the 'cool kids.'" "A Sentence Of Grace" is a Harold Grumblebunny short story in which he finds religion and deals drugs with a preacher, published in The Slush Pile 2 by the Underground Literary Alliance (2002, link should have ordering information). The Thirsty Bear & The Hungry Snake is a photographic comic strip I occasionally make starring a teddy bear and a snake sock puppet. Over the years, I've published cartoons with them in Gestalt & Pepper and as a minicomic for Genghis Con, among other places, and you can find one right here on the blog (2008-present). "The Top Secret Origin Of Astronaut Urine Gorilla" (2002) can be found in Fightin' Fun Comics #2. AUG is one of my favorite superheroes, and you can find another story of his by me (albeit prose only), "The Return Of The Mullet Maguires", on Underground Literary Adventures (2004). "Ode To Twitter" is a poem published in the 2010 edition of Inscape, the Ursuline College fine arts magazine (2010). "SanFran PanHand Sort-Of-Sonnet" is a poem published in the Homeless issue (#3) of San Francisco zine Xploited (2009). "Weedwhacking Eden" appeared on the Underground Literary Alliance Poetry and Fiction Blog (2007). "Ironic Occupations" is a poem published by Mark Sonnenfeld as part of his Marymark Press Give-Out Sheet Series (please send a self-addressed stamped envelope to Mark at 45-08 Old Millstone Drive, East Windsor, NJ 08520 USA) (2007). 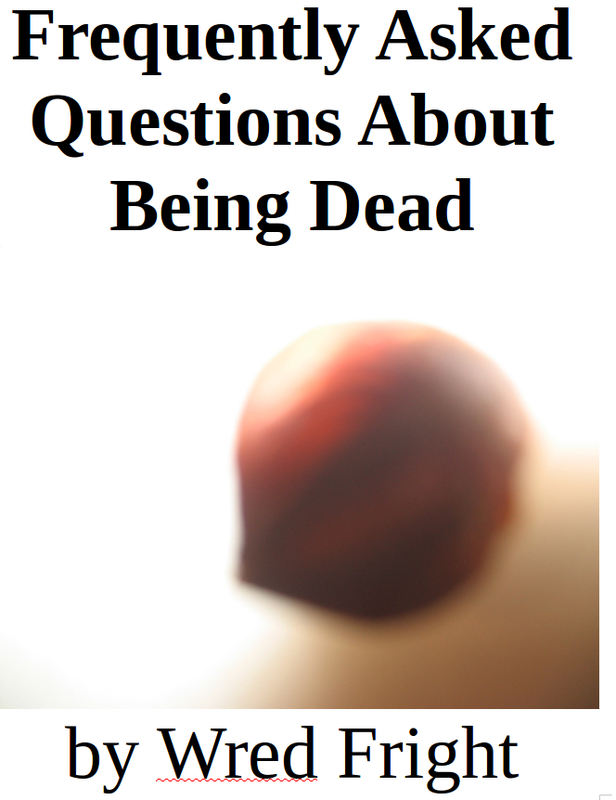 "What Is The Best Time Of Year To Die In?" is a poem published in the 2007 edition of Inscape, the Ursuline College fine arts magazine (2007). "Kittendrowner" is a popular poem. It's been published by Red Fez and Underground Literary Adventures (2007). "Return To E-Sender" was published in The Red Fez (2006). "When We Were Terrorists" was published in the special 2006 issue of The Whirligig (2006). Numerous other poems can be found on this very blog such as "2008 Third Party Presidential Candidates Sonnet". Xerography Debt is a zine that reviews other zines. I wrote a column in #26 called "What Was the First Zine?" (2010). "You Just Can't Find Good Help These Days: A Review of Bad Attitude by Leopold McGinnis" (2007). "Ohio Is A Strange Place: A Review of Crossing Decembers: A Novel by John Booth" (2007). "The Ten Commandments For Touring Literati" appeared as a guestblog for LDP Distro (2007). "The Quest For The Great Canadian Novel: An Interview With Game Quest Author Leopold McGinnis" appeared in Go Metric 21 (2006). "Home Therapy For Professional Wrestling Fans" appeared in Go Metric 20 (2005). Numerous other essays and whatnot can be found on this very blog such as this popular post about whether or not Ernest Hemingway really wrote a six word short story. Postcards from Pottersville: An Anthology of Art and Literature Volume 3 Adventures in the Underground edited by Jack Saunders has an interview with me in it, and contributions from Jack, Blaster Al Ackerman, Ron Androla, Michael Basinski, John Bennett, Bill Blackolive, Pat King, Steve Kostecke, Lyn Lifshin, Leopold McGinnis, Jeff Potter, and more (2007, Pottersville Press). How Do You Say "Zine" In Portuguese? Thank You For Your Donation/Purchase!